Well-known American fashion designer who launched his own line in 1981 after attending the Fashion Institute of Technology. Kors is also a judge on the popular Bravo reality show Project Runway. Michael (sometimes listed as Michael Kors) was introduced in 2000, followed by Michael for Men in 2001. 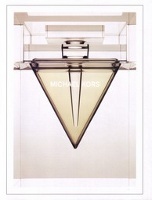 Other fragrances include Notes from Michael (Houndstooth, Glen Plaid, Tattersall; 2001), Kors (2003) and Island (2005). Estee Lauder has held the Michael Kors fragrance license since 2003, when it was purchased from LVMH. The Michael Kors line can be found at department stores and online fragrance discounters. See all articles on Now Smell This tagged Michael Kors. Read Michael Kors (but You Knew That) at the New York Times.